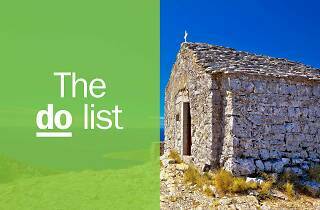 The remote, rocky island of Vis has ended its years of isolation and the tourists it now welcomes seek a different, more authentic experience than elsewhere in Dalmatia. Yachters and Hollywood stars might mingle around the marina but you can easily find your own slice of paradise away from the clicking paparazzi. Secluded beaches, sunlit caves and succulent lobster make the longer crossing from Split well worth the occasionally choppy journey. Almost halfway to Italy, Vis has always been of significant strategic importance. It is also rocky and isolated – which is why World War II leader Tito chose one of its caves for his headquarters. For several months from November 1943, with the war still in the balance, Tito and his Partisans were holed up here, planning attacks and devising strategies. The site, though poorly maintained and signposted, can be visited, either as part of a tour group or individually. You’ll find it as you approach Mount Hum from Podšpilje (‘Under the Cave’), where steps lead from a sharp bend in the road. There’s little evidence of his presence nor of the visit of writer Evelyn Waugh in 1944. If Vis has one particular tourist attraction, it’s Biševo. Set south-west of Komiža, an hour or so’s sail away, this sparsely inhabited island is invaded every day in summer between 11am and noon. The reason for such precise time-keeping in everyone’s otherwise mañana schedule is the natural phenomenon that occurs just as the sun is reaching its peak. 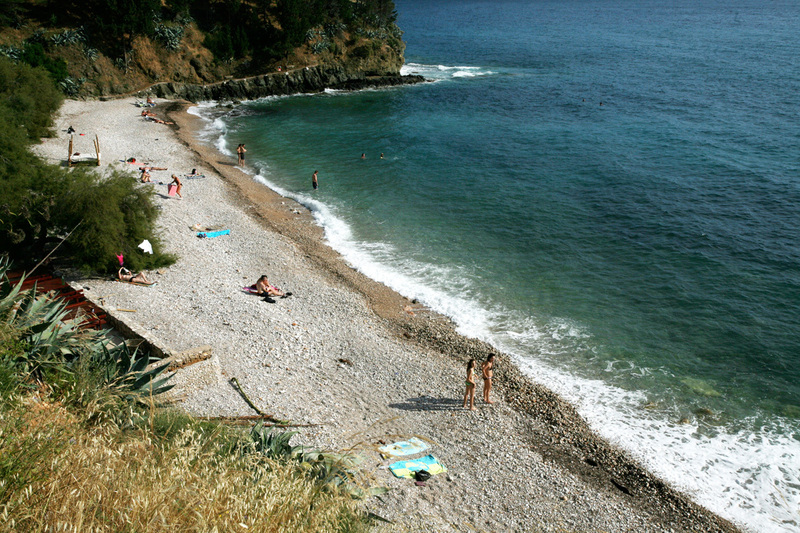 Tourist boats plan their arrival at the mouth of the Blue Cave, Modra špilja, for good reason. 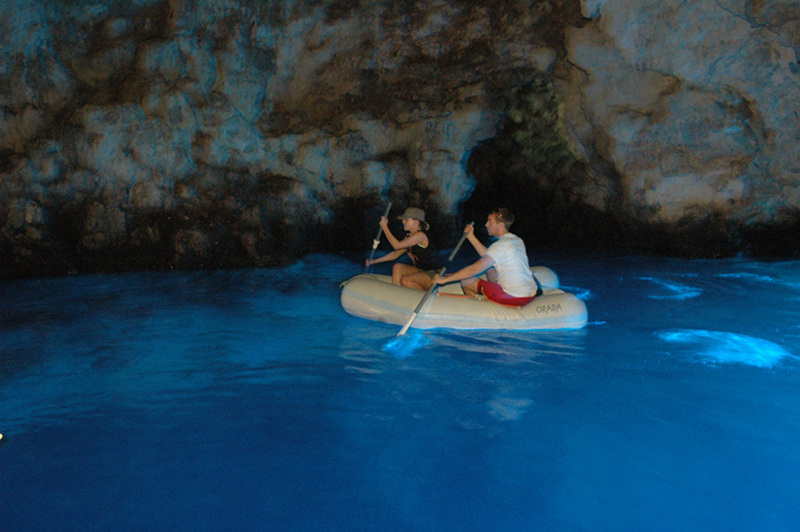 At a certain moment, the grotto is flooded in blue light, everyone goes ‘wow!’ and some even dive in. 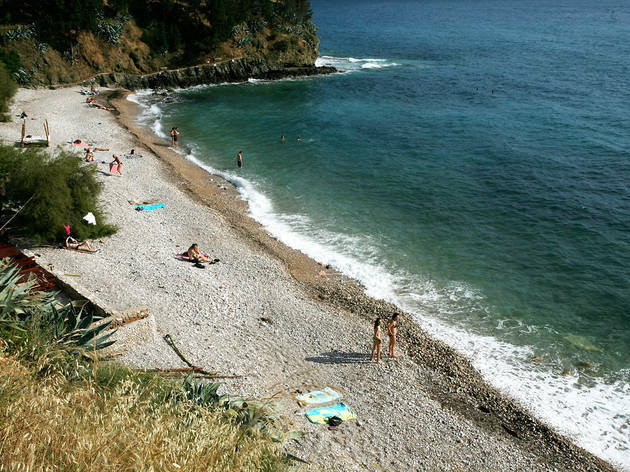 It’s a sure-fire winner, and one that keeps the Komiža tourist agencies busy, arranging day tours that comprise lunch and an afternoon at the beach. 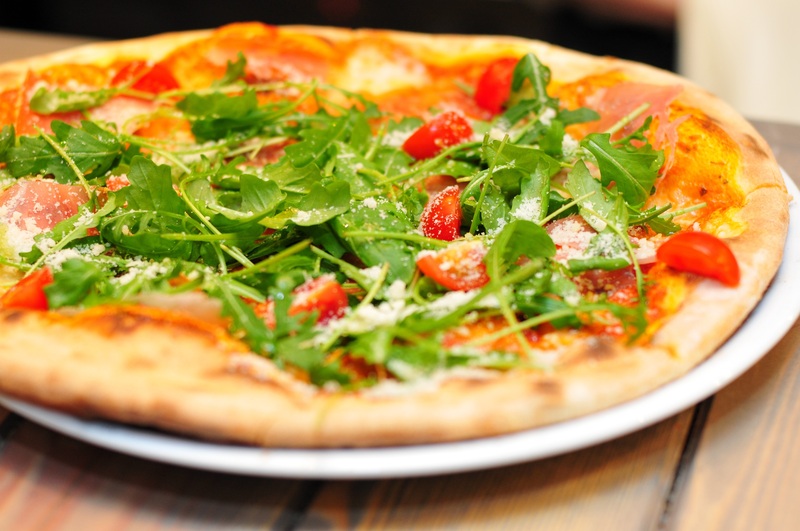 The best pizzeria on Vis, arguably in all of Croatia, Karijola has since spawned two popular branches in Zagreb. The principle is the same though here you get a raised terrace with a gorgeous sea view and lashings of local Vugava wine from Roki’s. Named after the carriage that sturdy porters would use to transport tourist trunks from boat to hotel, Karijola makes best use of fresh greens and tomatoes, smoked hams and anchovies, served amid soft lighting and chill-out music. On an island of historic anomalies, perhaps the strangest is the modern-day revival of the cricket club that was established on Vis by British sailors around the time of Napoleon. To keep his men busy during their six-year posting here, naval commander Sir William Hoste organised games of cricket, finding time in between to defeat French forces at the Battle of Issa in 1811. The story inspired a Croatian-Australian wine merchant living in Vis town to put a team together and play a series of fixtures every summer. Non-members are welcome to watch, umpire and even take part. Few come to Vis for the nightlife – stay put in Split for that – but the Komiža should have just action to keep most barflies buzzing. 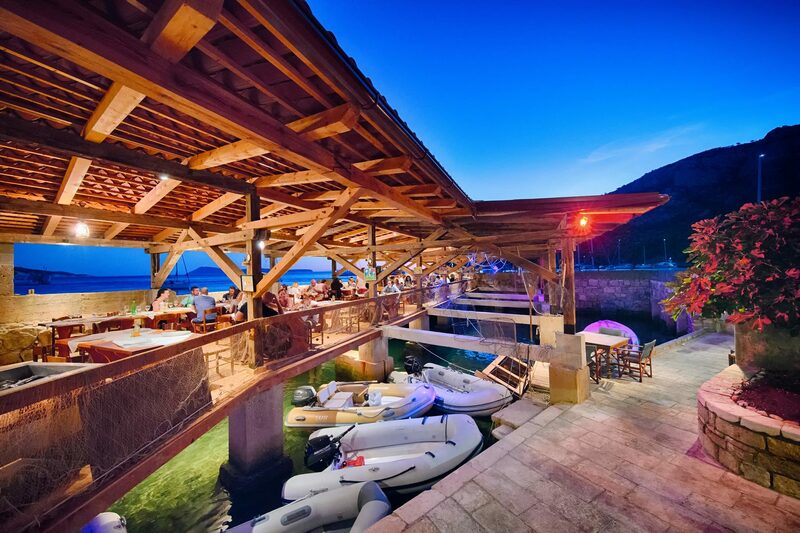 Centrepieced by the landmark bar of the same name, Komiža’s hidden square of Škor tucked in behind the seafront is where to load up on a few drinks until the wee hours. 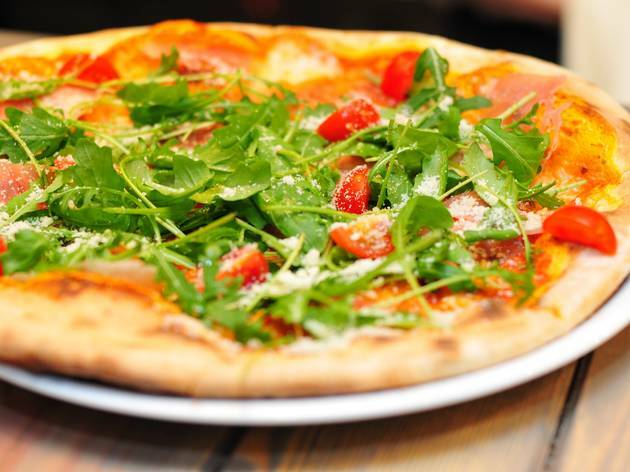 Škor at No.11 will also show the football and probably spin the best tunes, but that varies from summer to summer. It’s also the only place with any kind of interior – everything else takes place across the interlapping terraces of three otherwise tiny venues. One of the more unusual and unique outdoor activities arranged by Alternatura is the chance to spend a week sailing a traditional gajeta fishing boat, the kind used by Vis fishermen for generations. 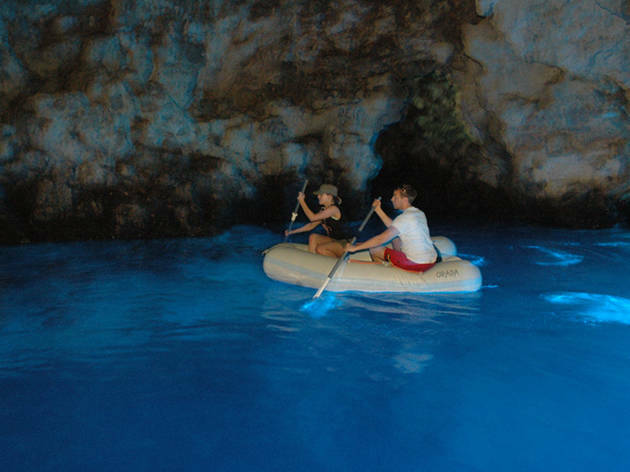 Once you’re shown the ropes, tools and tricks on the first day, and the principles of using a triangular lateen sail as used by the Ancient Greeks and Romans, you’ve a memorable agenda ahead of the Blue Cave, Green Cave and numerous isolated bays and coves. You will also be shown how to fish like a native and be able to cook up your catch on the beach. 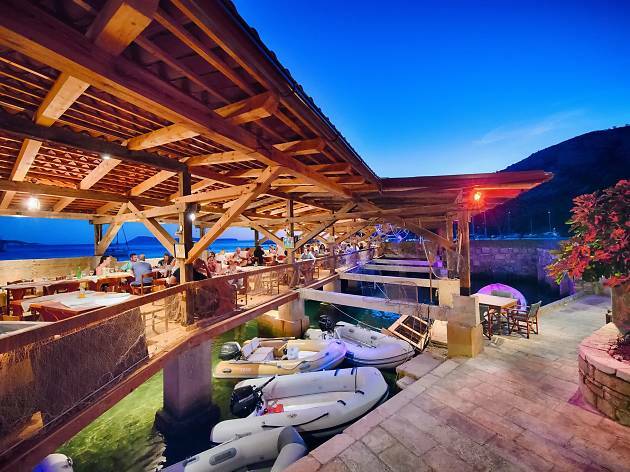 If one venue can be singled out to define the transformation of Vis from remote, unsung outpost to tourist destination, it’s Komiža’s Konoba Jastožera. Attracting foreign custom now for the best part of two decades, this former lobster pothouse (‘Jastožera’) has built its whole business on the spiny crustacean, serving it with spaghetti, with four sauces, with other shellfish as the prime attraction on a platter. Diners, perched on planks lapped by the waves, may also choose the squid, fish or steak – but it’s the lobster you’re here for. The prime historic attraction in Vis town is itself set surrounded by fortified evidence of the Habsburg presence here in the mid 1800s. Within the Austrian-built Battery, the Archaeological Museum houses finds from around 400BC, when the Greek tyrant Dionysus the Elder founded the colony of Issa here. The prize exhibit here is the bronze head of Artemis, Greek goddess of the hunt, presumably an important deity to the island’s ancient occupants. Other treasures, found on land and in clear seas, relate to the wine and fishing industries that have obviously been essential to island life here for well over 2,000 years. 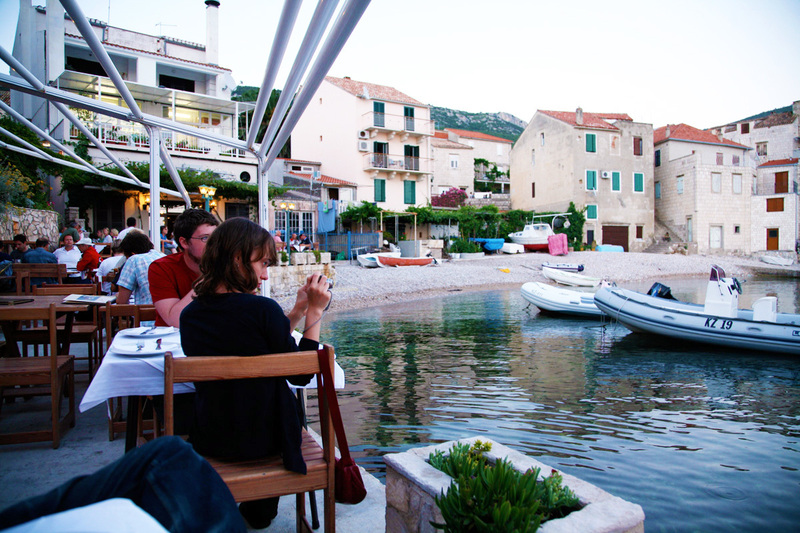 For bars go to Hvar, for fish come to Vis. 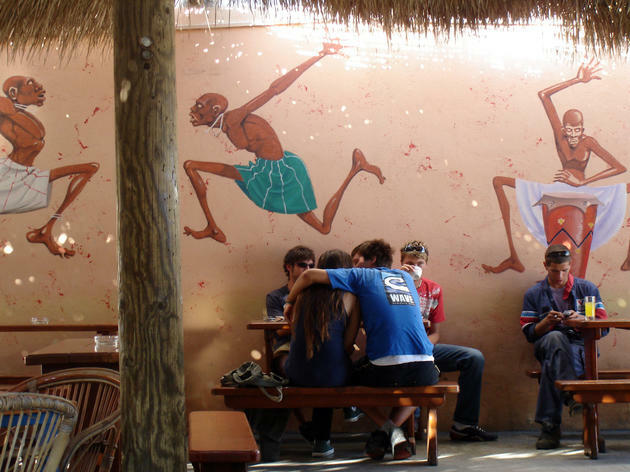 While there’s more than a grain of truth in this simple dictum – you wouldn’t find Prince Harry letting his freakflag fly in Komiža – there’s one bar right on the seafront that has been a reliable provider of messy drinking sessions since before the tourist boom. Bejbi, pronounced bee-ay-bee-why baby, is usually the last place to close in Komiža, offering a nice mix of locals and internationals a fine excuse to get wasted, get acquainted and dance on tables should occasion demand. There’s no VIP room, no valet parking and no snobby attitude from staff or regulars. This is a bar. It does what it says on the tin. With no industry, in fact, practically little modern-day activity, on Vis for much of the 20th century, the waters around the island are crystal-clear. Diving here is outstanding. And, given the rocky coastline, many a boat has come to grief – dive sites are plentiful. 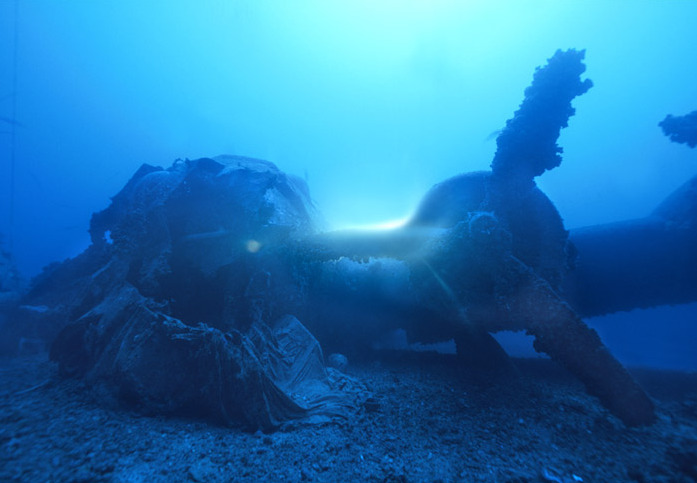 But the prime find here, for experienced divers only, is a great big aeroplane, a huge Flying Fortress that went down over Cape Polivalo one night in November 1944. Now sunk to a depth of 70 metres, it’s visible from way above, its exterior remarkably intact. 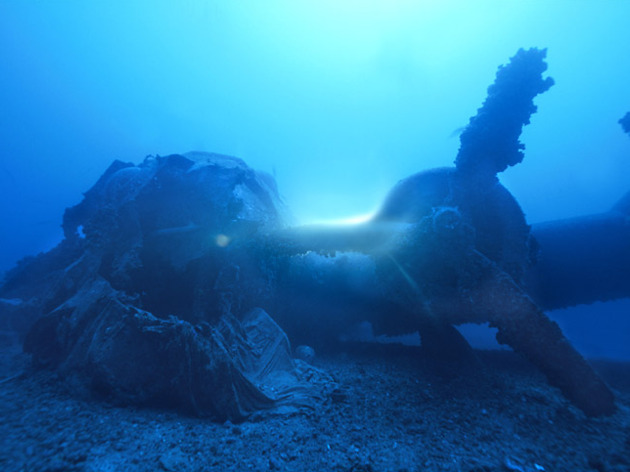 The Komiža-based Issa Diving Center can also take you on dives to more accessible wrecks, such as to the Greek cargo ship Vassilios which you can enter with the aid of an underwater lamp. Ispod peke is a particular way of cooking native to the Dalmatian islands. 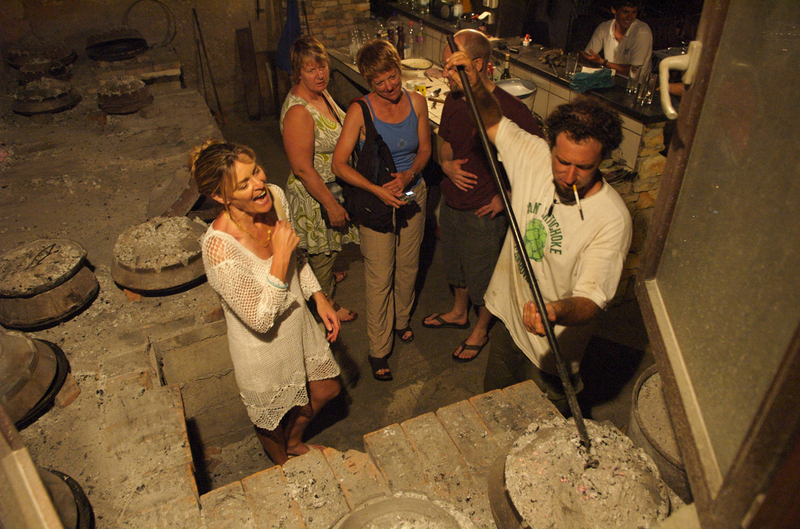 The peka is a long-handled pan with a dome-shaped lid that is placed with great delicacy into a mound of fiery coals and hot ashes. Whatever’s inside it – ideally octopus, veal or lamb, sometimes fish – is then slow-braised over several hours, bringing out all the juices and natural flavours. Having ordered earlier in the day, diners are then treated – ta-da – to one of the most divine dishes they’ll find around the Mediterranean. The best place to sample this speciality is the wonderful Konoba Roki’s, opened by a Croatian-Australian near a former RAF airstrip at Plisko polje, a short drive south of Vis Town. The restaurant also lays on transport for groups of four or more. Hiking tours can take you to the top of Mount Hum – or almost. The highest point on the island, just behind Komiža, Hum is 587 metres above sea level, its pristine, panoramic views precisely why there is a military installation up there. Just below, the Church of the Holy Spirit the perfect place to plot up nad rest from your climbing exertions. All of Vis will be spread out below, as well as the sea and surrounding islands. It’s also possible to drive up there – but that’s cheating. Conveniently set a few hundred metres from the south-eastern tip of Vis, the outcrop of Ravnik is a favourite destination for sea-kayakers. It’s not just the short distance or relative ease of crossing for beginners – like Biševo on the other side of Vis, Ravnik is home to a strange natural phenomenon involving its rock formation and the passage of the sun. At the southern edge of the islet, the Green Cave (Zelena špilja) is bathed in emerald-coloured light that floods through an opening in the top and spreads around the water. Sea kayak tours generally start here, then head round to secluded Stiniva Bay for beach time and a spot of lunch. 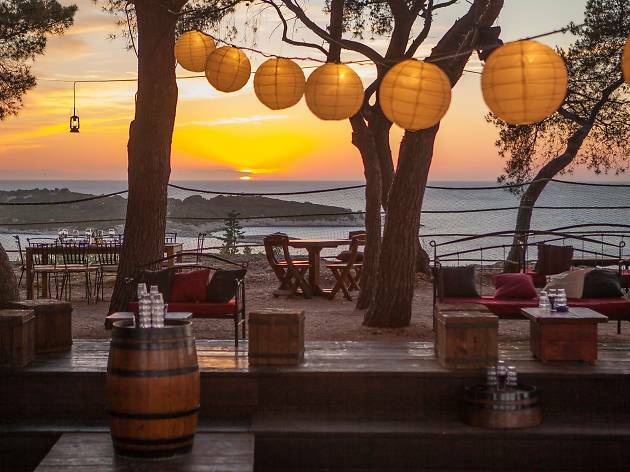 On a terrace just above Pod Kalifota beach, the seaside Konoba Bako provides some of the fanciest food in Komiža, partaken in the most relaxed atmosphere. 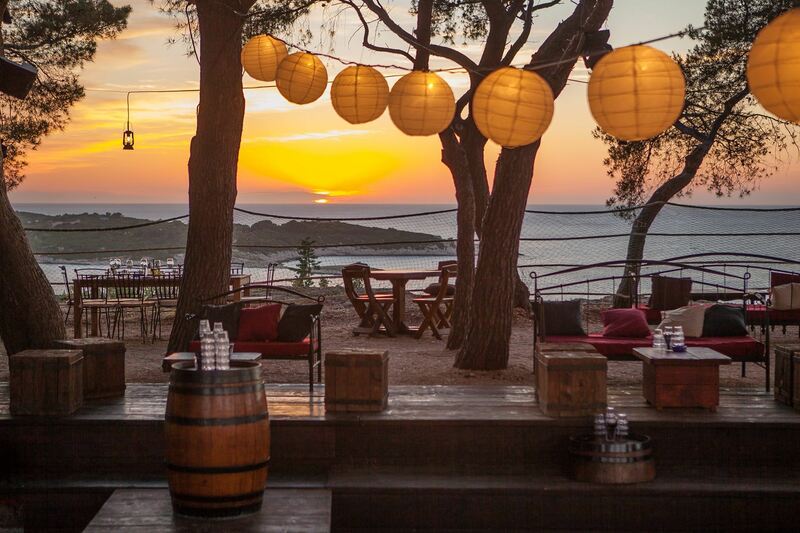 In the gorgeous seaside setting, tables intermingled with pine trees and tall lamps, you are served with fresh langouste lobsters, grilled, broiled or served in brodet Dalmatian stew. You can also opt for grilled grouper, snapper, rockfish or breaded anglerfish, perhaps prefaced by octopus in house wine. 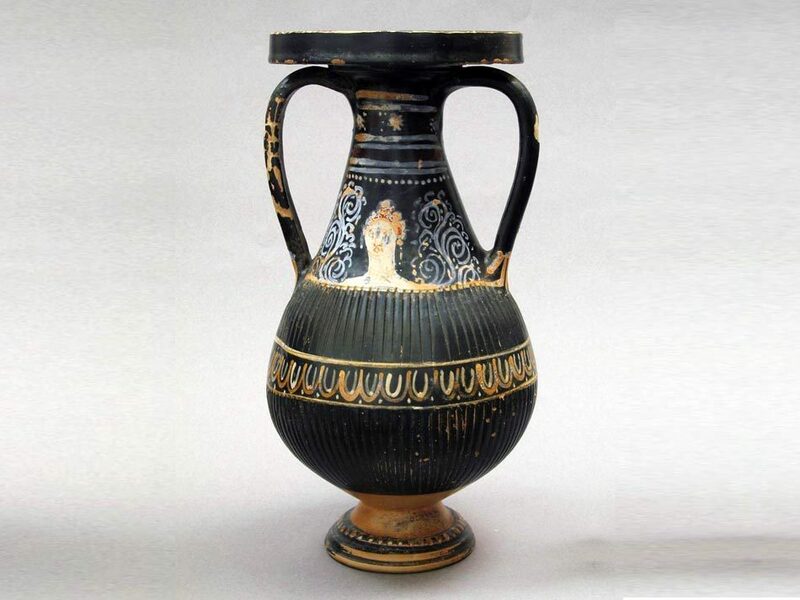 If all places are taken outside – try and make a point of reserving – within you’ll find a display of ancient Greek and Roman artefacts recovered from the deep by the restaurant’s founder, Tonko Borčić Bako, who went diving here for decades. 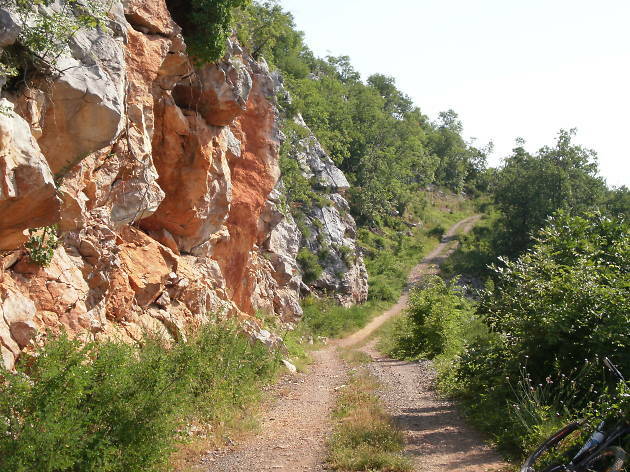 Behind Komiža, the Red Rocks (‘Crvene stijene’) contain more than a dozen trails up to suit all levels of fitness and experience, for beginners and free climbers alike. 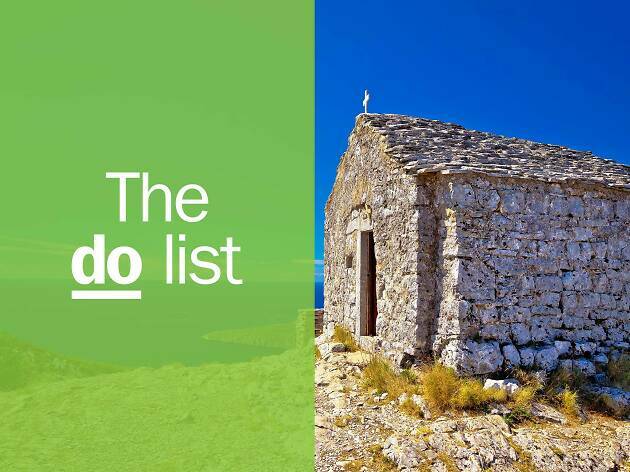 Several agencies in Komiža offer guided excursions led by expert professionals who show you the ropes, literally – you can even try your hand at abseiling. The reward, of course, is the unsurpassable view from the top. Helmets and equipment are all provided. 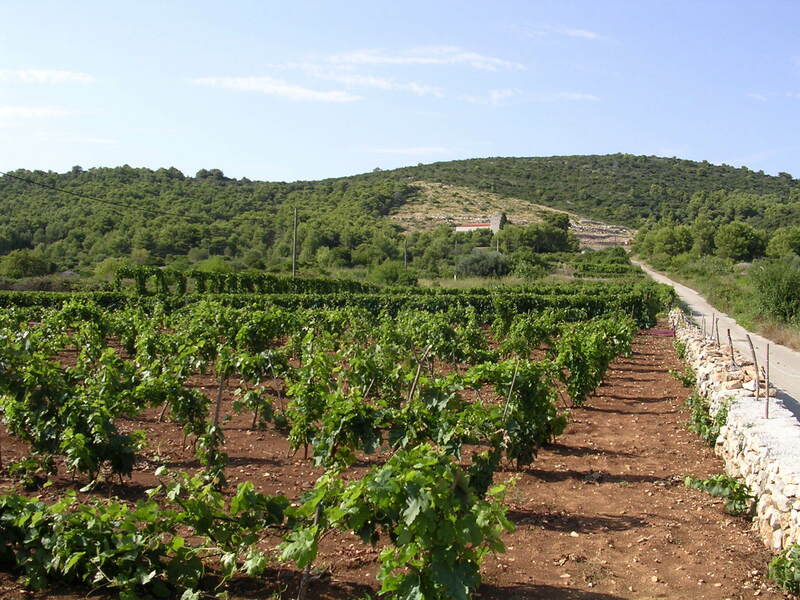 Vis is known for two wines: the full-flavoured red Plavac Mali and the dry white Vugava, cultivated in the island’s sandy soil for thousands of years. Leading its modern-day revival has been local winemaker Antonio Lipanović. Not only are his labels the ones to look out for on any restaurant wine list, but his tasting rooms are unique: right at the mouth of a network of military tunnels blasted out by Tito after 1945. Lipanović produces both unoaked and barrel-fermented varieties and is happy to advise customers visiting by appointment. Until fairly recently, the year 2000 in fact, the Zanki family lived on the remote island of Sveti Andrija, 14 nautical miles from Komiža. Also called Svetac, it was here that several generations of Zankis eeked out a living from fishing and viticulture from the mid-1700s onwards. After the last resident died off, members of the family who now live a less rugged life in Komiža still visit in the summer months to maintain the simple stone houses of their forefathers. Agencies in Komiža offer boat tours over, docking at Pozlov Buk and showing visitors the ancient fortifications of Illyrian Queen Teuta. Luckier tourists might spot a rare Eleanora Falcon, known to breed here before the annual migration to Madagascar. Named after the English king who famously lost America, Fort George was built by the British in Napoleonic times. Abandoned for generations, Fort George was recently reconfigured and reopened and now houses the Sunset Bar & Club, an open-air drinking lounge of spectacular views and superb cocktails. Live bands, mainly domestic acts, play on Friday nights and DJs spin party music most nights through the summer. There’s also a restaurant and art gallery. If you’re feeling peckish during the day or need a couple of tasty bites for the beach, the humbleViška pogača is the ideal purchase. A square of focaccia-like bread filled with sardines, tomatoes, onions and perhaps a little garlic, it’s just enough to allow you to skip lunch and last out until dinnertime. 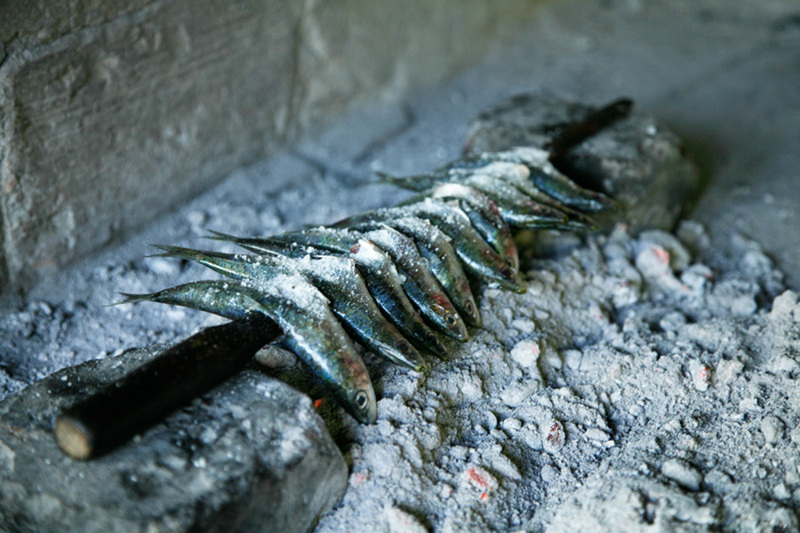 The pogača is also a nod towards the traditional local economy – for generations, fishermen sailed out as far as remote Palagruža in search of huge shoals of sardines. 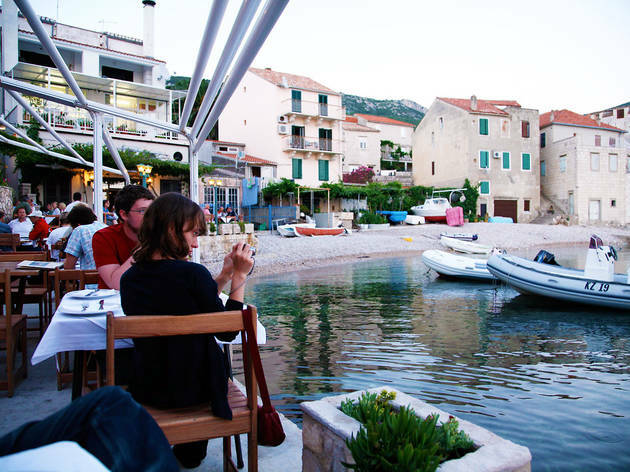 One of the most bizarre experiences you can have on Vis is to book a meal chez Karuza, a completed isolated eaterie set in the remote picturesque cove of Mala Travna on the southern part of the island. 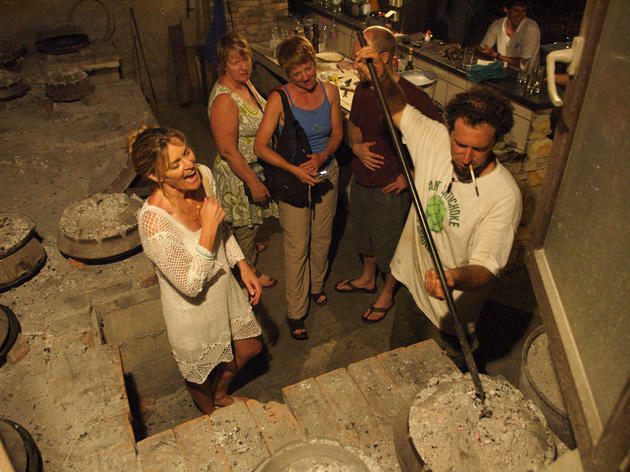 Here chef-owner Karuza, a Robinson Crusoe character and well known Croatian writer, runs the Restoran Senko, more culinary show than a conventional restaurant. His few guests are treated to an interactive meal that can last several hours and includes discussions of the natural ingredients of Vis that touch on social history, geography and gastronomy. Helping everything along will be lashings of own-made wine and grappa and, naturally, food. 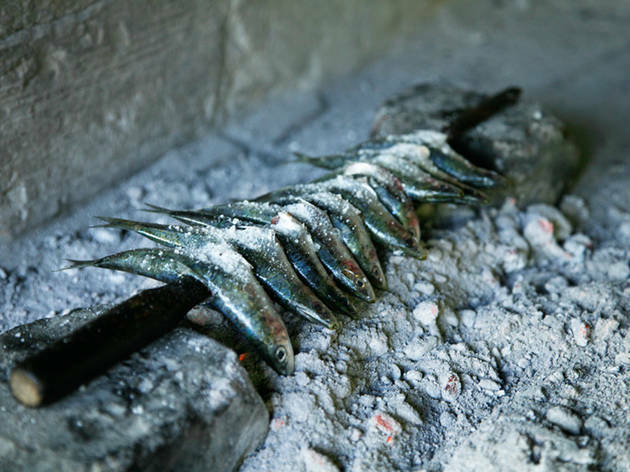 Freshly caught fish usually features, the menu based on daily supplies and highlighting traditional Vis dishes such as smoke-cured fish soup brodettos and fish grilled over olive-wood and vine embers. It’s not gourmet, the facilities are basic and you’ll need a taxi or boat to get there – but it is, quite simply, unique.